Tickets for the The Decent Exposure Tour will go on sale starting on Tuesday, April 23 at 10am ET at WizKhalifa.com! Emily Ratajkowski looks fierce while attending the Levi’s In The Desert 2019 Party during the 2019 Coachella Music Festival held at Sands Hotel & Spa on Saturday (April 13) in Indian Wells, Calif. The 27-year-old model and actress was joined by Hailey Bieber – the two ladies both rocked Levi’s red colored shoes for the event. 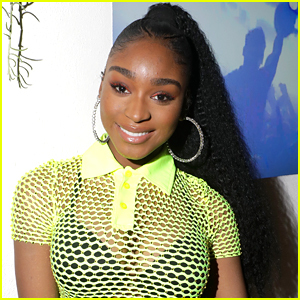 Also in attendance were Jaden Smith, Amandla Stenberg, Dylan McDermott, Joan Smalls, stylist Maeve Reilly, Snoop Dogg, Karrueche Tran and Victor Cruz, Pyper America, Sonia Ben Ammar, Alexis Ren, Luka Sabbat, Wiz Khalifa, and RuPaul’s Drag Race star Aquaria. That same day, Emily donned a polka dot top and skirt while attending the Bondi Sands Aero Launch Party alongside Delilah Belle Hamlin. Wiz Khalifa is in great spirits as he arrives at the gym on Wednesday afternoon (December 26) in West Hollywood, Calif. The 31-year-old rapper looked cool in a yellow sweatshirt and camouflage-print shorts as he stopped by the gym for his boxing class. Back in November, Wiz stepped out for the 2018 Victoria’s Secret Fashion Show After Party to support his girlfriend Winnie Harlow who walked in the show! 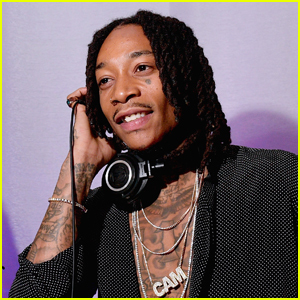 Check out the latest photos of Wiz Khalifa in the gallery below! 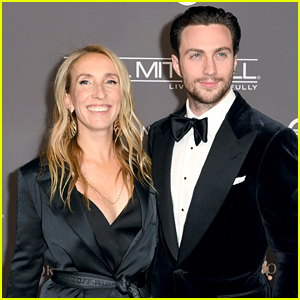 Aaron Taylor-Johnson and his wife Sam walk the carpet together at the 2018 Baby2Baby Gala, presented by Paul Mitchell, on Saturday (November 10) in Culver City, Calif.
Also in attendance at the event were Kobe Bryant with his wife Vanessa, Nate Berkus with his husband Jeremiah Brent, Wiz Khalifa (who took the stage during the gala), Fred Savage, and Jeff Gordon. In addition, Aaron got the chance to meet up with his Nocturnal Animals co-star Amy Adams, with her husband Darren Le Gallo. Winnie Harlow holds on close to boyfriend Wiz Khalifa as they arrive at the 2018 Victoria’s Secret Fashion Show After Party on Thursday night (November 8) at Avenue NYC in New York City. The 24-year-old model looked super chic in a sparkling, pink mini-dress while the 31-year-old rapper kept things cool in a navy outfit and Yankees baseball hat for the party. Tonight marked the first time Winnie hit the runway for Victoria’s Secret! Inside the show, Wiz sat front row next to Adam Levine, Diplo, and Alexander Wang. FYI: Winnie is wearing a Dundas dress.